I started a new model called Ruby and wanted a 3D printed version of it. The original model is here, created with Poser Pro and rendered in Eon Vue just to make a pretty image to compare the rendered image with a printed version. I wanted a colored print but the arms and legs are too fragile for sandstone and the model has too many thin walls for colored plastic. So I wanted to know what it looks like in white plastic. 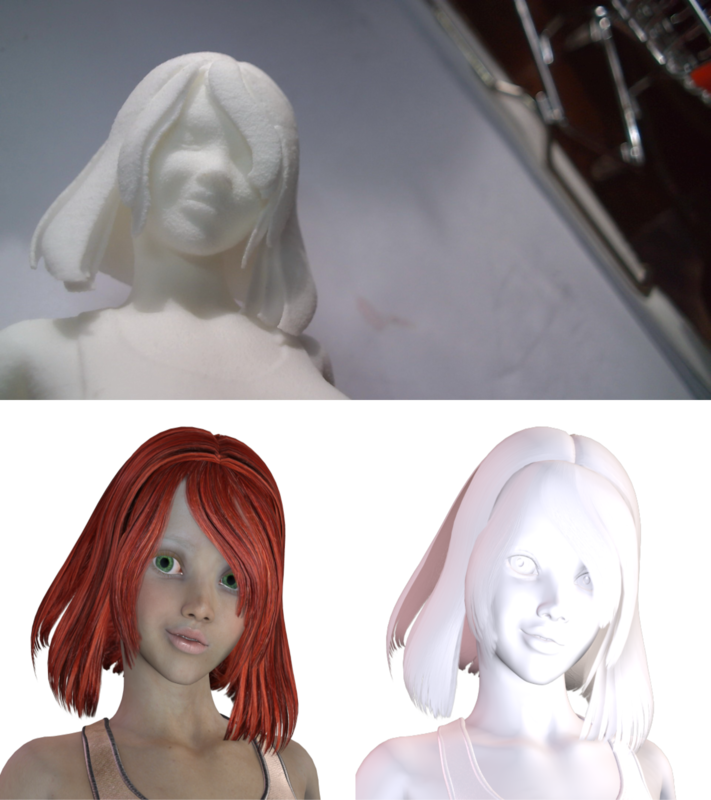 For additional comparisons, I used pictures of the printed model and a rendered image of the model in color and in white. The print is a bit grainy because the small print particles that make up the model are still a bit large. Smaller particles would generate a more smooth surface in my opinion but it would also take a lot longer to print. This shot above displays how textures give shape to her hair. Even the white version has a texture setting some of the transparency, giving it some shape. This gets lost in the printed version, since 3D printing only works with shapes, not textures. So, how about the rest? Front and back, right hand and left hand, right foot and left foot. The ruler in the front picture shows the model is slightly less than 20 cm high. The details look great, though. Even though the surface isn’t smooth, you can still see a lot of the original model in the print. 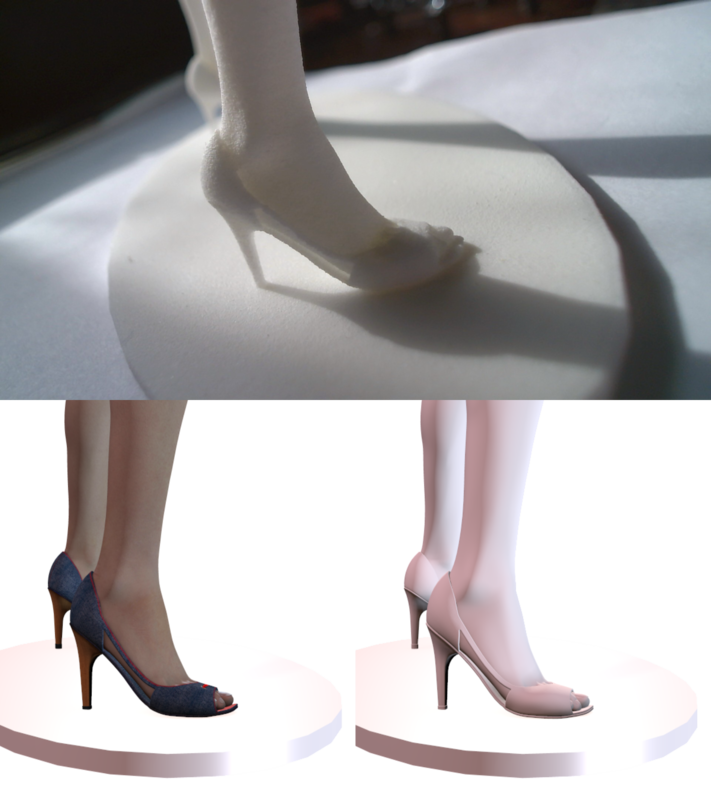 Her shoes look great though, even considering that these are the most vulnerable parts of the print. The straps are not connected to her foot and her toes are quite detailed. And I made her hands have a fistlike-shape but with some hollow area in them so that she could hold something in them. Which is exactly what I wanted. Now, I have to think about what she’s going to hold, though. The next step is deciding how to continue with this model. I would like to paint it but that won’t be easy. Part of her face is barely reachable with a thin brush and making her look realistic would also be challenging. I’m a Software Engineer, not a Painter! 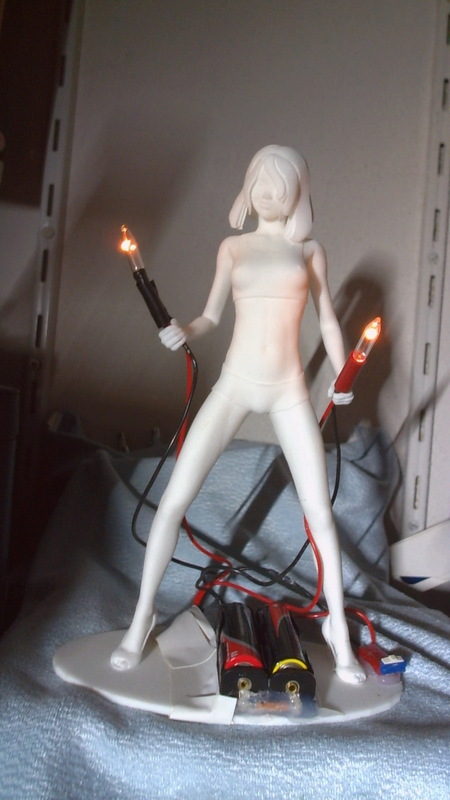 So I’m probably keep her like this and make her hold two LED lights with a battery box and a switch and she would become a cute light. This will be fun! These aren’t very bright lights but I did not want any bright lights! This entry was posted in 3D and tagged 3D Print, Poser, Shapeways. Bookmark the permalink.